The Stripper Deck is the most versatile of all trick decks. It makes even the most advanced effects possible with no sleight of hand, yet the secret is so subtle that you could actually play cards with it and no one would know. Learn to easily find multiple chosen cards, have immediate access to the aces, count cards, control shuffles and so much more! 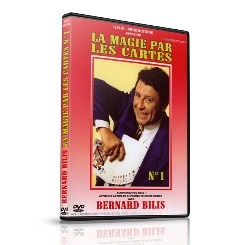 On this DVD, world renowned magic coach Oz Pearlman takes you way beyond the basics and shows you how to shatter the limits of what's possible with a deck of cards. Including tons of live Las Vegas street performance footage and step-by-step in-studio training. Includes Red or Blue Bicycle-brand Special Stripper Playing Cards.